For those of you who follow my Instagram, you may (or may not) know that I have the hugest sweet tooth. One of my favorite things to treat myself to of course is... Ice Cream! 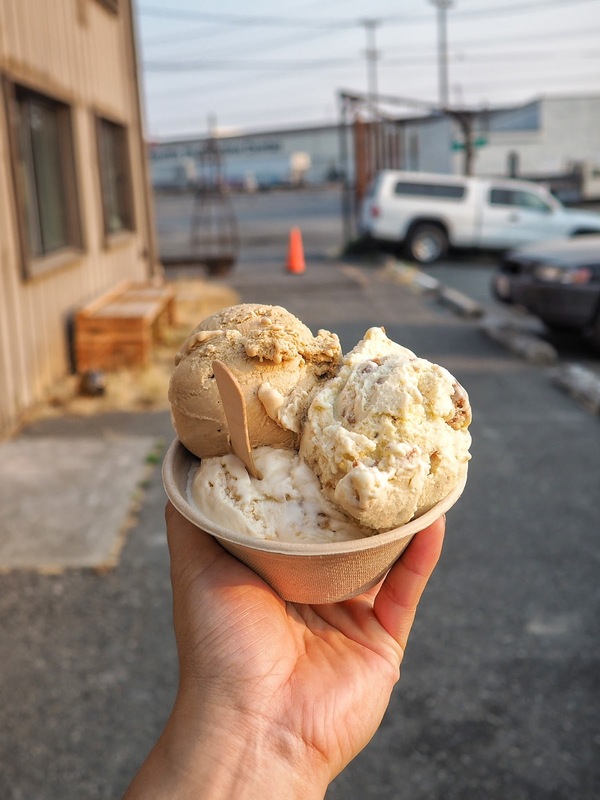 Yes, I love ice cream and I'm so glad Seattle has stepped up the ice cream game with even more places popping up here and there. 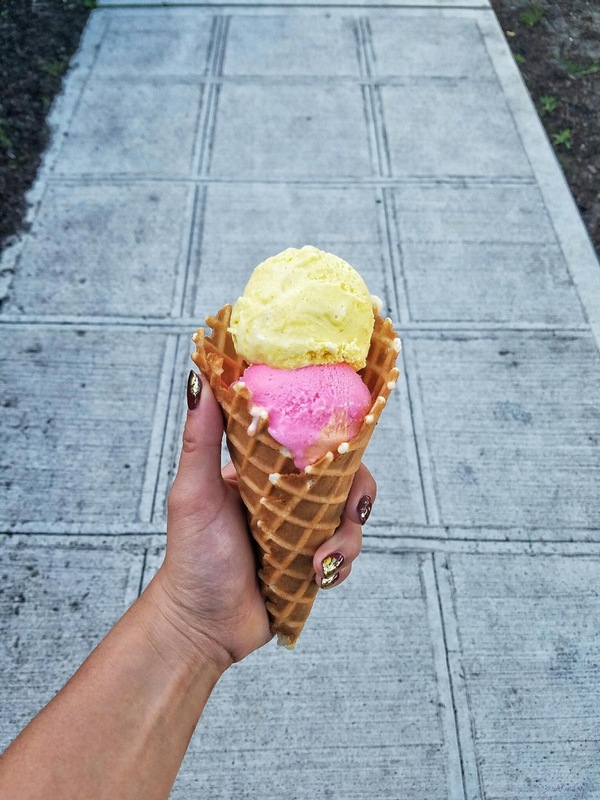 I love all the frozen treats and today, I'm sharing my Top 5 Current Favorite Ice Cream Spots in Seattle and why I love them so much Places mentioned are not in any particular order so I've kept them to being alphabetical, haha. 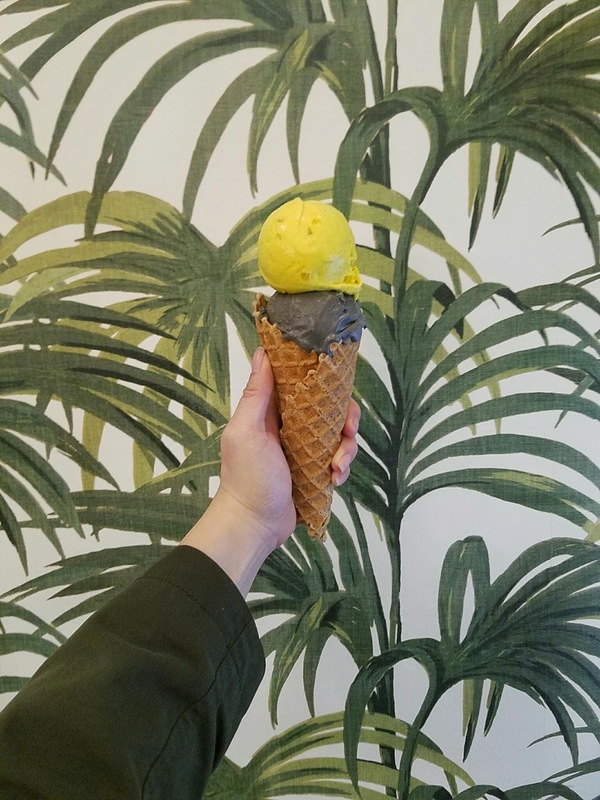 1) Central District Ice Cream - New to the Seattle this year, CD Ice Cream is one of my favorite places to go for unique flavors. They bring new flavors out every month (for August they rolled out with old favorites!) and you can sample all of them if you wish! My favorites so far have been Ube Cheesecake x Hood Famous Bakery, Mais Queso, Coconut Curry (am I the only one that liked this one? haha) and Fruity Pebbles! If I'm feeling extra fancy, I'll opt for a macaron ice cream sandwich or better yet, a Unicorn Macaron (by Krystel's Confections!). I love that that they have Asian inspired flavors and that none of the flavors are "typical." I also love that they feature a different local artist almost every week and they even showcase the artwork throughout the store. 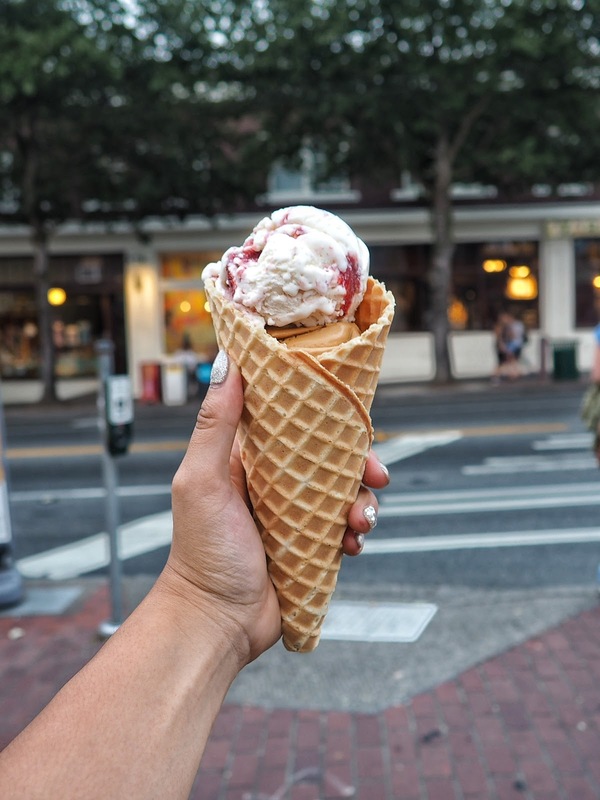 It has a fun and friendly vibe and is just chill ice cream spot. 2) Frankie & Jo's - This place serves VEGAN ice cream! It's really hard to find vegan ice cream that is both tasty and creamy but this place does it right! They sprout their own nut milks and their flavors are amazing (salted caramel ash is my favorite and yes it's black ice cream!). They have their regular menu and bring out seasonal flavors as well. One of my seasonal favorites was one called Big Sur (pictured above in the cup). Everyone that I have brought here also can't believe that there is no dairy in the ice cream because of the creamy texture. 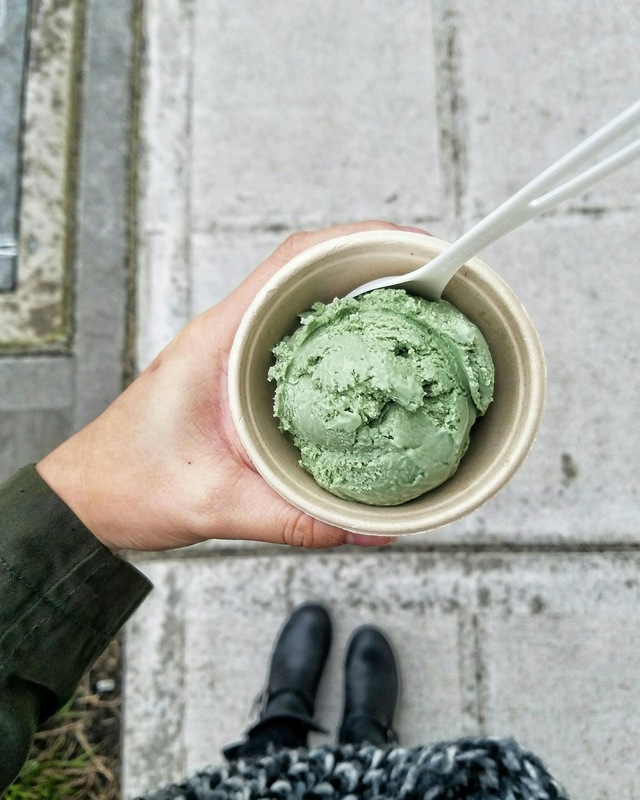 This place has definitely won my heart and I sometimes prefer the vegan ice cream to dairy ice cream! 3) Molly Moon's - Molly Moon's is an old school favorite and I can't stay away from their Salted Caramel. It's very salty, just the way I like it! There other regular flavors are also done well with a delicious creamy texture and bold flavors. I'm also more excited because they recently opened up their Columbia City location which is way closer to home and saves me a trip to Cap Hill or Madrona! I also look forward to their seasonal flavors too. Some seasonal favorites include Strawberry Pink Peppercorn and Blueberry Cheesecake. 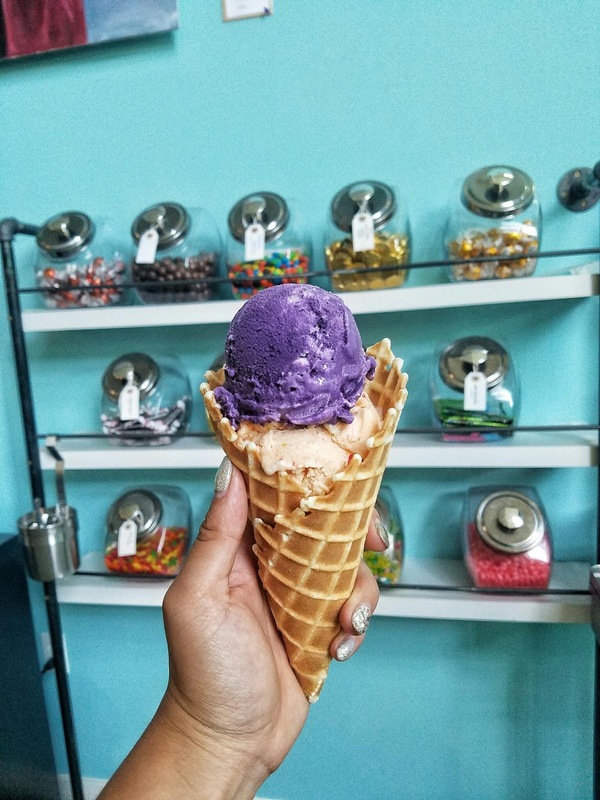 4) Sugar Plum Seattle - Here's another vegan ice cream spot that I only recently discovered despite the fact that I 'm always in the area. It's located on 15th in Capitol Hill and is in one of my favorite areas. 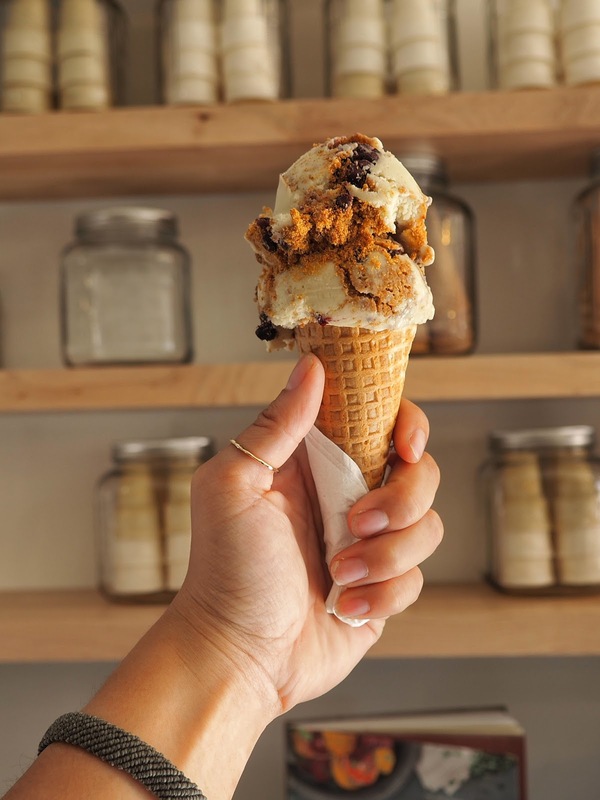 They have a rotating selection of soft serve flavors along with a gourmet array of ice cream flavors such as Avocado Blackberry Cheesecake seen above! I love their flavor combinations and their use of avocado in a lot of their bases. 5) Sweet Bumpas - Last but not least is another recent discovery called Sweet Bumpas. I can't believe it took me this long to try out their ice cream but I fell in love the moment I sampled every flavor they had to offer, haha. 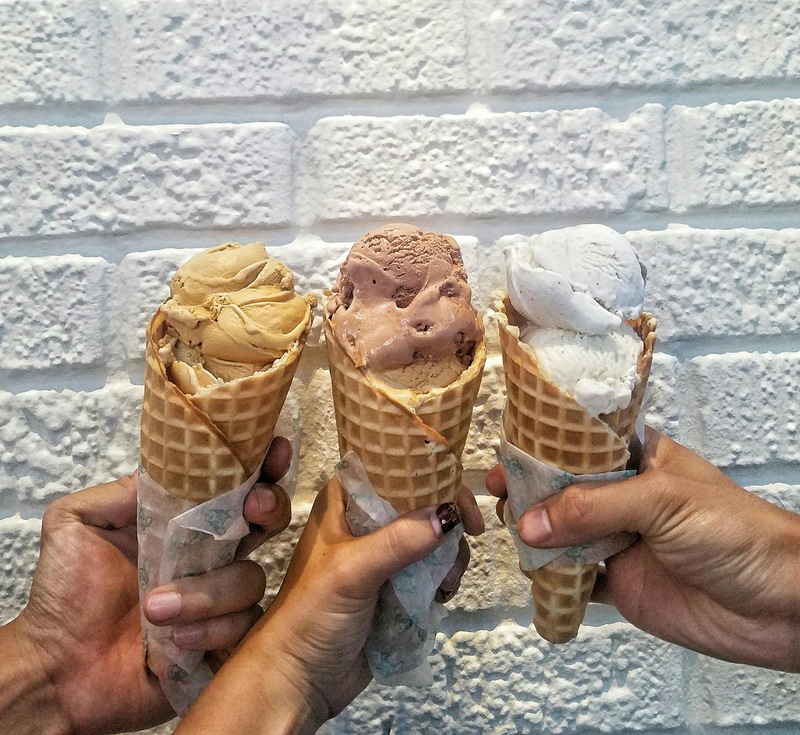 Their ice cream is rich and creamy and the flavors they offer and very unique, bold, and full of flavor! They make an incredibly delicious Orange Salted Caramel and their Earl Grey is probably the best one I've ever had out of all the ice cream places I've tried that offered this flavor. Their window shop is where the Six Strawberries used to be (ah, makes me sad thinking about it but glad another frozen treat place took over) and they're extremely helpful and friendly! I also have to give a couple of shout outs/honorable mentions for. First up isn't necessarily "ice cream" but it's a delicious frozen treat! 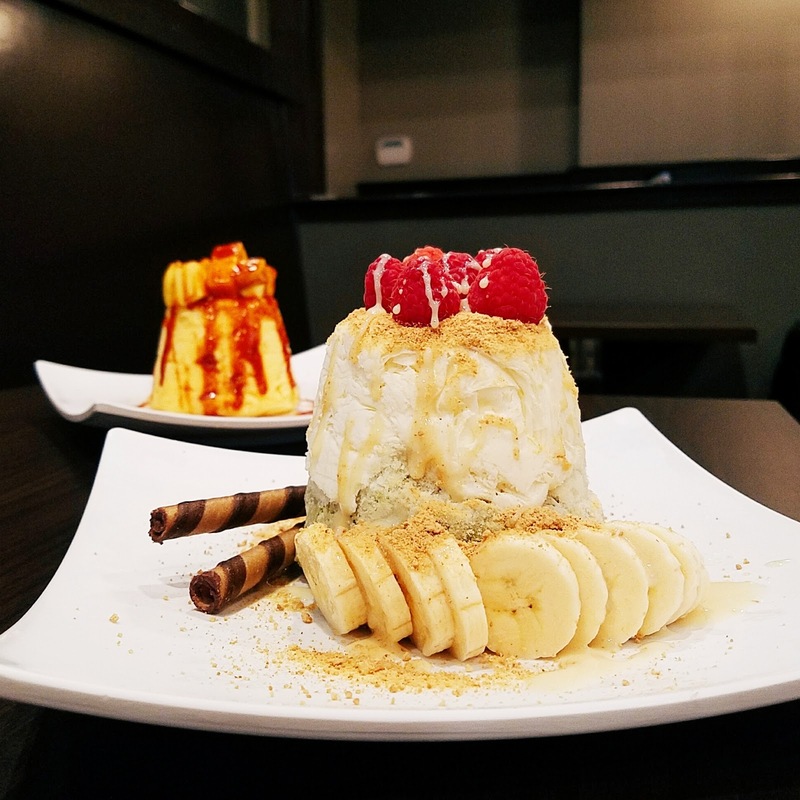 Bambu Seattle offers these amazing shaved ice and my favorite is anything with the shaved cheesecake ice. It's not the typical shaved ice where it's chunky. The ice layers are extremely thin and creamy. The Green Tea Cheesecake seen below is my all time favorite! The last shout out has to go to Kurt Farm Shop. It's been a good while since I've been there, but their Flora's Cheese ice cream flavor is still constantly on my mind!